Perfect for those with smaller busts, Dion Lee's 'Fine Line' swimsuit has a plunging neckline and low scoop back tempered by a slim strap. 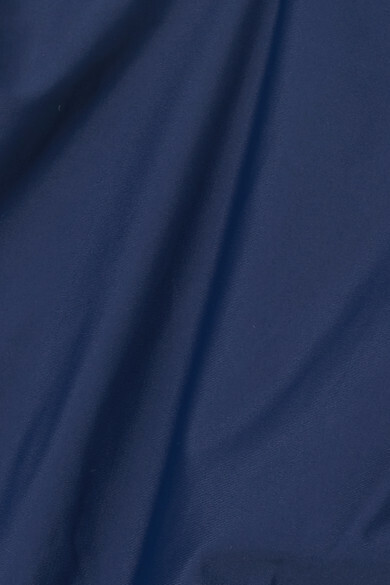 It's cut from navy stretch fabric designed to smooth and sculpt your figure. Wear it to the beach with denim cutoffs and a straw hat. Wear it with: Zimmermann Dress, Nannacay Tote, Ancient Greek Sandals Sandals, Givenchy Sunglasses, Sophie Buhai Earrings.